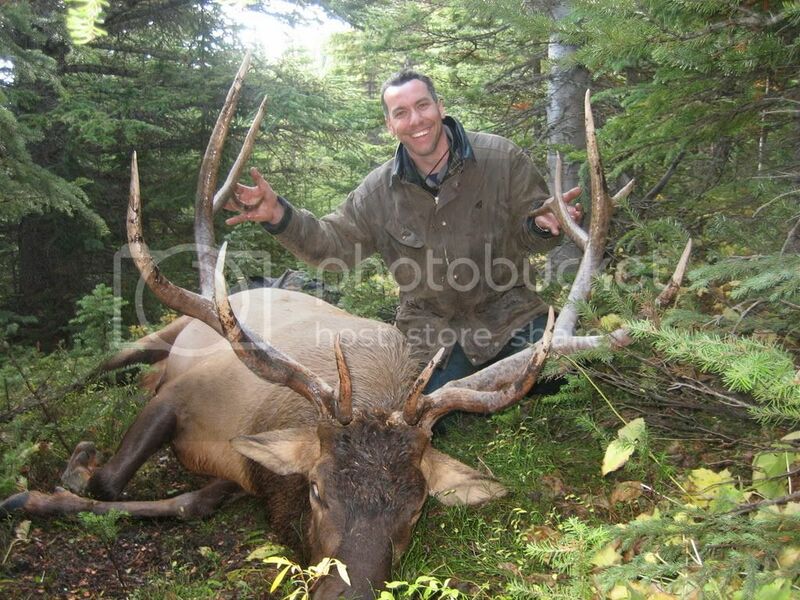 I personally think Alberta's elk opportunities have been great lately. With so many good prairie zones, some very good mountain zones rebounding, and some northern elk herds in good shape, there is getting to be some good opportunities to kill a good big old bull! I think you're right with that Trev. I am only a P2 though so it will be a long time for me. Think those bulls might be related?? Here's My biggest so far . 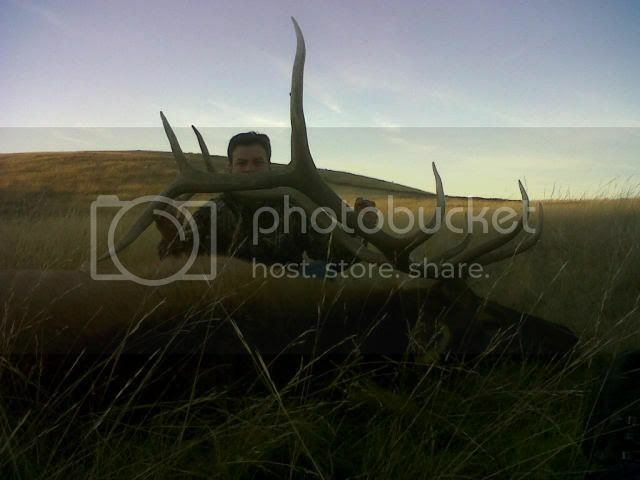 those are beautiful prairie bulls rack & ducky. where's all the forestry bulls pics? Beautiful elk gents. Great mass on all of them. I'm not sure if it is just the photo angle, but Potty's looks like a VERY heavy bull. Congrats to all! Here's my 406 high country bull. 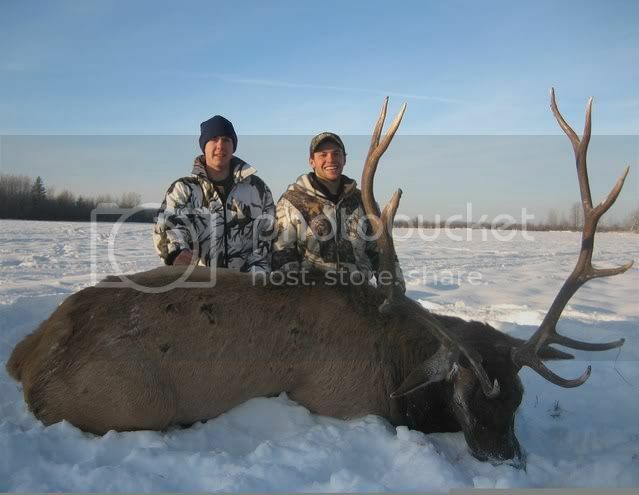 Here is my biggest bull to date..Shot on a general tag..
50 and change on the right and 49 and change on the left with 49 even inside Spread. Awesome animals guys! Keep the pics coming! 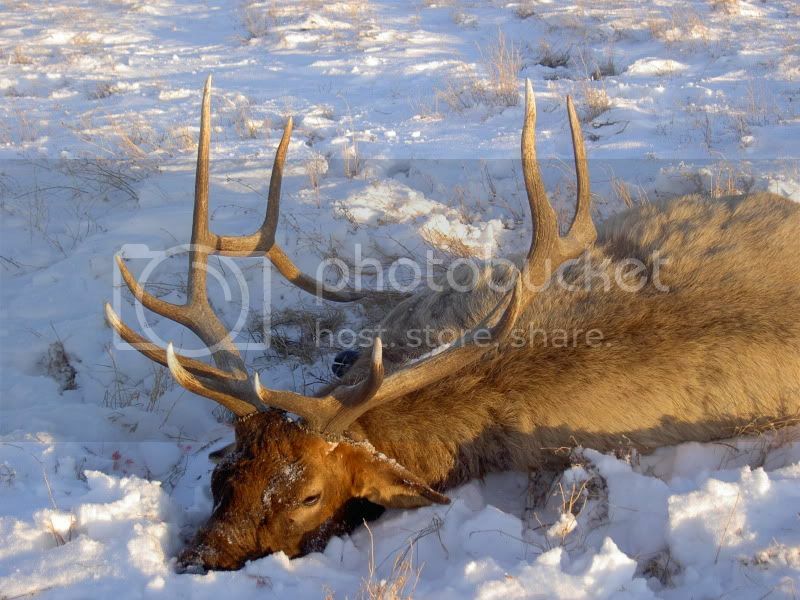 I hope to get my first elk this year and these pics are making me drool! 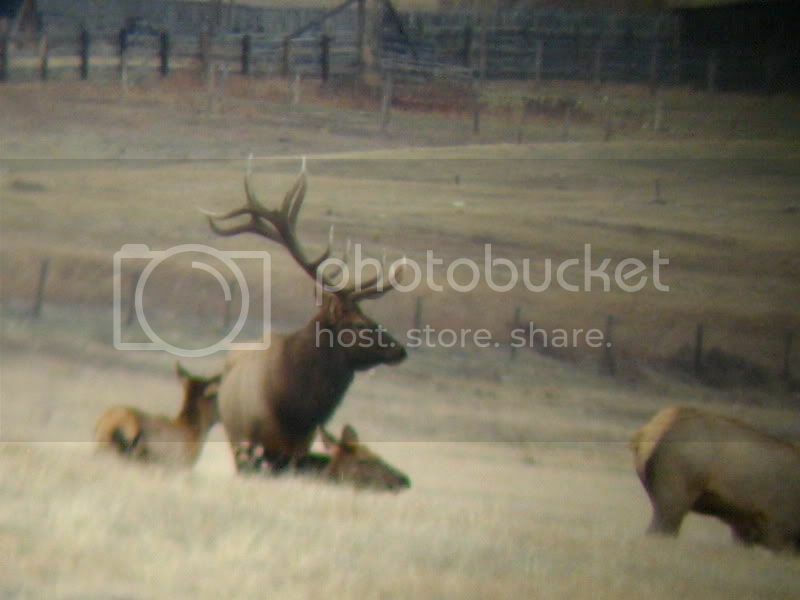 Nice animals boys.. Unforetunetly I havn't got any pics of the one Elk I have taken. No huge animal anyways just a little 5 point bull from out in the Linx Creek country. Jeez Mike, who's the kid in the picture?? 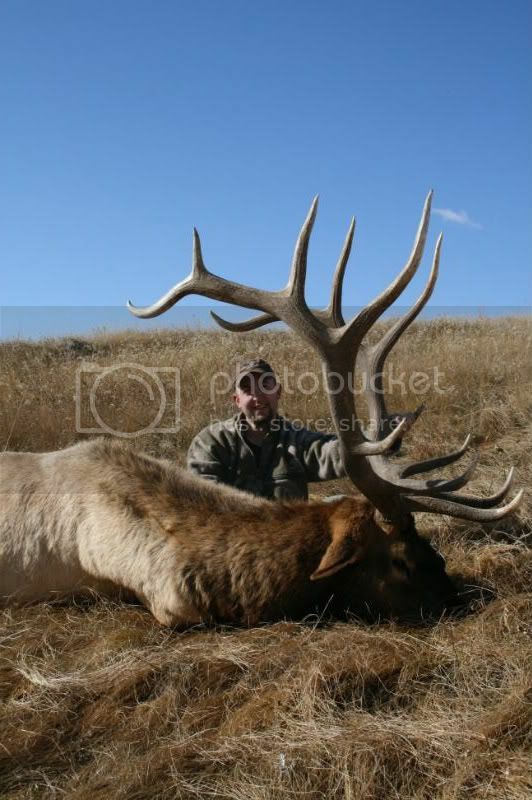 That was my last elk..... kinda scary to think that was my sixth at the time back in 2006. Time to make to keep adding to the tally. Yep its like me and black bears! 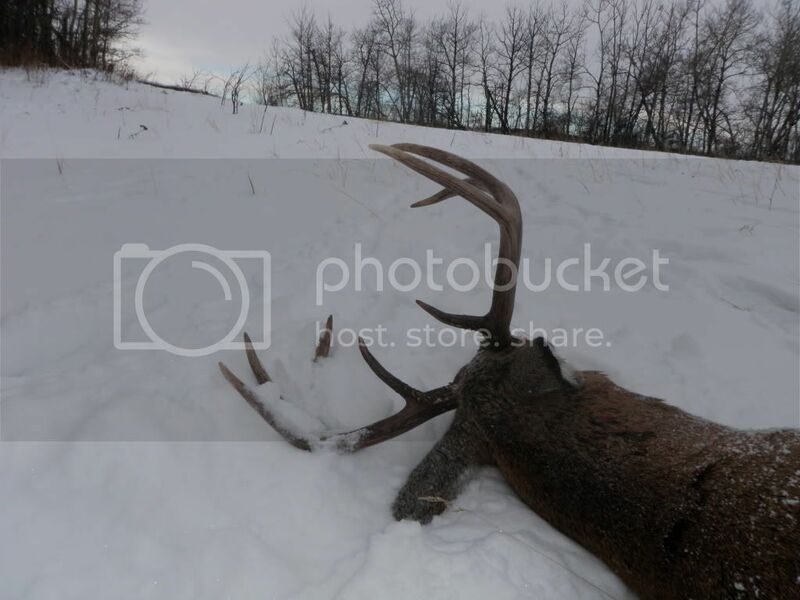 I killed a pile of them back in the early 2000's and havent shot one in over 6 years now. Hoping to knock one over this year to make up for lost time! 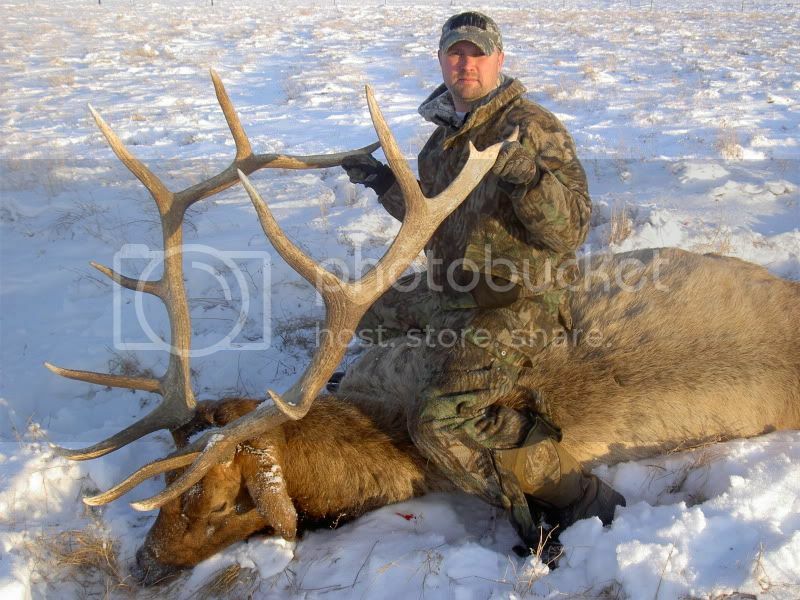 that is a nice Elk shooter.